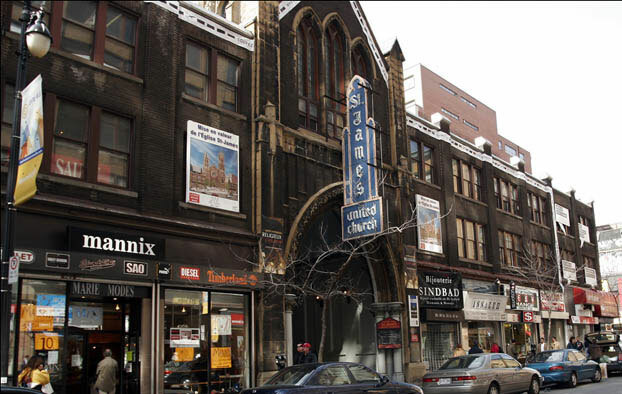 For decades, the St. James United church was surrounded by stores/shops/business built around and in front of the church's entrance. 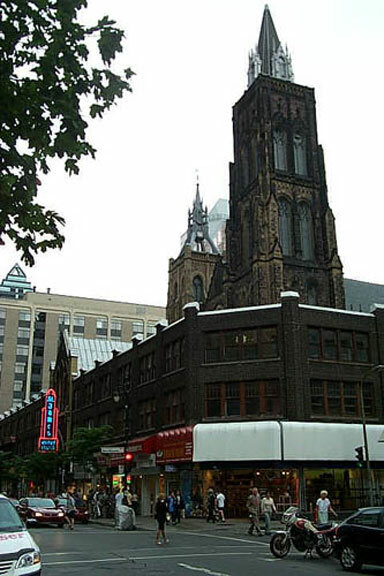 I don't know when it was built but the demolition of the ugly front was completed in 2006 and the glory of the church's spectacular facade can now be seen by everyone (see the following post). One of the few cases when the "vanishing" was actually a good thing. Photos from the St. James United Church's website. It was indeed a good thing, but I don't think they make good use of the new public place located in front of the church. It would be better used if there were chairs, picnic tables, an outside café, perhaps? Now it's pretty much a dead space, unfortunately.